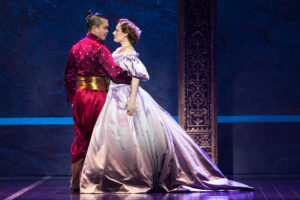 The King and I was the fifth collaboration between composer Richard Rodgers and lyricist/dramatist Oscar Hammerstein II, following their classics Oklahoma, Carousel, South Pacific and their flop Allegro. It was written for leading lady Gertrude Lawrence but made a star out of Yul Brynner who, after winning the Academy Award for the film version, was indelibly linked to the role. 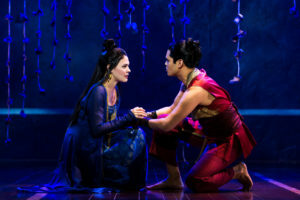 There have been four Broadway revivals including the most recent 2015 version by Lincoln Center Theatre which is now in the process of a National Tour, including a local stop at the Hollywood Pantages Theatre through January 21. It is probably the most sumptuous production (massive sets by Michael Yeargan, elaborate costumes by Catherine Zuber and luscious lighting by Donald Holder) of the musical you will ever see. A cast of 39 fills the stage giving a sense of community to the numerous crowd scenes. 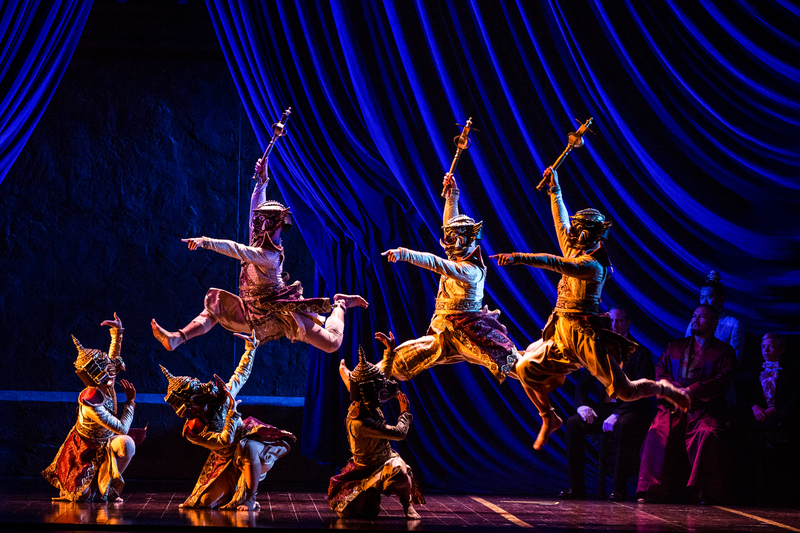 Director Bartlett Sher has even added back a few songs—the King’s wives’ lament “Western People Funny” and a reprise of “A Puzzlement” for the Young Prince (Anthony Chan) and the schoolteacher’s son Louis (Graham Montgomery)—that this longtime reviewer has never seen. 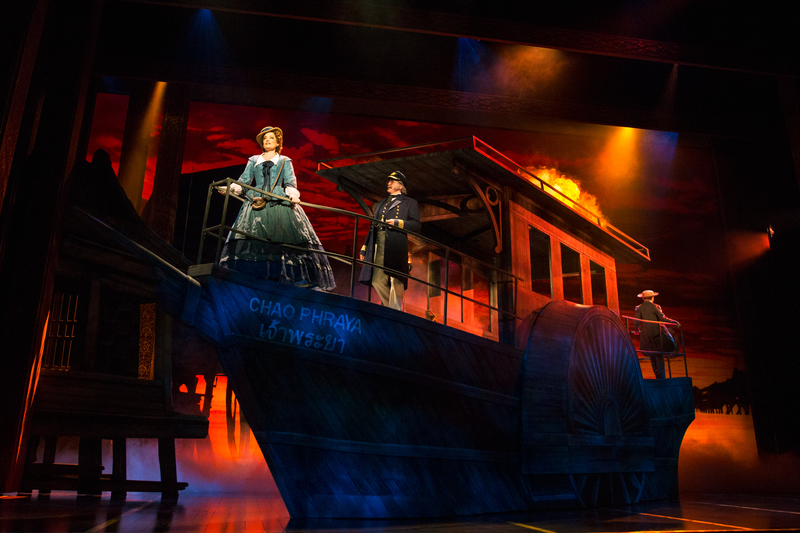 Sher also manages to pace this old fashioned book musical, with constant reprises and short scenes in front of a curtain during scene changes, so it comes in just under three hours including intermission. 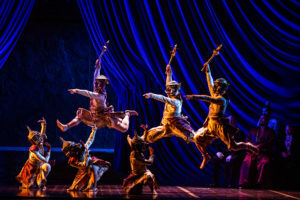 The standout in nearly every production of this musical is the Siamese influenced The Small House of Uncle Thomas Ballet, originally created by Jerome Robbins and here wonderfully recreated by choreographer Christopher Gattelli and danced by Lamae Caparas (Eliza), Nobutaka Mochimaru (Angel), Rommel Pierre O’Choa (Simon of Legree) and the exceptional company. This musical also contains one of the most joyous and exhilarating moments in theatre history, the enthusiastic polka the King and Anna dance to “Shall We Dance?” and here it truly is a show-stopper. The 18 piece orchestra under the baton of conductor Gerald Steichen makes the score sound lush and lovely. Hollywood Pantages Theatre, 6233 Hollywood Blvd. in Hollywood. Ends. Jan 21. hollywoodpantages.com or 800-982-2787.